1. Best Teacher Award’ 2014 from College of Veterinary and Animal Sciences, Mannuthy. 3. First prize (of Rs. 5000/-) for writing 'Anubhavam' in Malayala Manorama Daily in November 2008. 4. Best Poster Award (as first author) in the National Symposium of IAVA on Recent Advances in Anatomy of the Domestic Animals with Special Reference to Developmental Anatomy conducted by Department of Veterinary Anatomy and Histology, College of Veterinary Sciences, Tirupati, Andhra Pradeshfor the paper authored by Maya, S. and. Chungath, J.J. 2007. Root attachment length in the spinal cord segments of goat. 5. Dr. C. Vijayaraghavan Endowment Award for Best Paper in Developmental Anatomy (as first author) In the International Congress on Veterinary Anatomy &Symposium on “New Concept & Innovative Technologies in Veterinary Anatomy for Sustainable Livestock Production in the New Millennium" at Lucknow in November 2009for the paper authored byMaya, S., Chungath, J.J., Harshan, K.R., Ashok, N. 2009. Lamination of the Gray Matter in the Spinal Cord of Foetal Goat. 6. 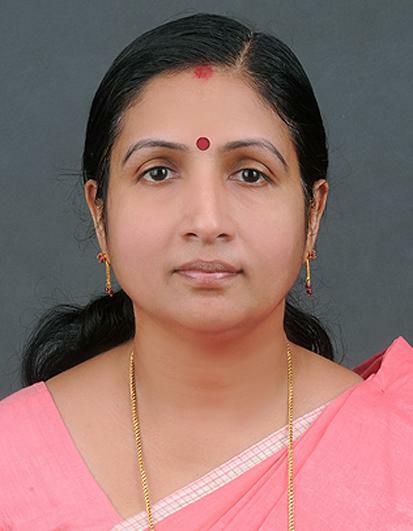 PS Lalitha Best paper Award in Indian Journal of Veterinary Anatomy 2010 (as first author) for the paper authored by S. Maya, Jose John Chungath, K. R. Harshanand N. Ashok. 2010. Developmental changes in the Ventral horn of spinal cord in goat fetuses. Indian J. Vet Anat.22 (20): 28-32. 7. Dr V. Ramkrishna Silver Jubilee Medal and Award for the Best Paper in ‘Anatomical Teaching Techniques’(as first author) for the presentation ‘Estimation of Hydroxyproline and collagen in the skin samples of Deer and Goat’ authored by Maya, S., Vasudevan, V.N., Indu, V.R., Sreeranjini, A.R., Chungath, J.J., Ashok, N. and Lucy, K.M. at the Three day National Symposium and XXVIII Annual Convention of IAVA &National Symposium on “Veterinary Anatomy Vision 2050- Improvement, Challenges and Opportunities in Relation to Animal as well as Human Health and Biodiversity" organized by Department of Veterinary Anatomy, College of Veterinary and Animal Science, Rajasthan University of Veterinary and Animal Sciences, Bikaner, from 08th-10th January, 2014, at RAJUVAS, Bikaner. 2. Summer school in Recent developments in value addition poultry products and marketing, from 10.07.2002 to 30.07.2002, Veterinary College and Research Institute,Namakkal. 3. Need based Refresher course in Instructional Technology and Evaluation, from 08.03.2005 to 28.03.2005, UGC–Academic Staff College,Coimbatore. 4. National Training programme on ‘Current concepts in Farm and Pet Animal Medicine’, organized by the Centre of Advanced Studies in Veterinary Clinical Medicine, Ethics and Jurisprudence, from 22-02-2006 to 14-03-2006, Madras Veterinary College, Chennai. 5. National Training Programme on “Advanced nutritional techniques for optimizing poultry production”, from 28-11-2006 to 18-12-2006, Veterinary College and Research Institute, Namakkal. 6. Summer short course in Advances in Agricultural project planning and management by ICAR, from 15.06.1999 to 24.06.1999, KAU, Vellanikkara.